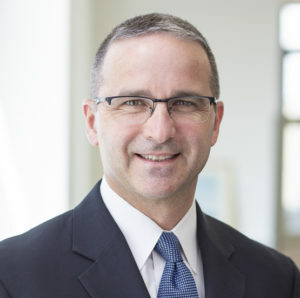 Most recently, David Esposito served as CEO of Armune BioScience Inc., an early stage cancer diagnostics company focused on developing and commercializing blood tests that leverage the immune system’s response to cancer. David assumed leadership of the business when it was at risk of default. David effectively developed a refined strategic plan and began raising additional capital through a Series A round to scale the business and execute the plan. In April of 2015, the company launched Apifiny®, the only cancer specific, non-PSA blood test available in the world to assess the risk of prostate cancer. David led the expansion of the commercial effort, laboratory operations and ongoing research & development over the next three years. By the end of 2017, Armune processed over 14,000 Apifiny tests, secured an average reimbursed of $400 from commercial payers, and expanded the product line. As a result of the team’s success, Armune gained the interest of numerous strategic buyers and closed a deal with Exact Sciences in December of 2017 to acquire core assets of the business. Prior to leading Armune, David served as President and General Manager of Phadia US Inc. from 2009-2011 (Phadia US, was the US division of privately held, Phadia AB, a premier global specialty diagnostics company). David Esposito joined Phadia US as the senior vice president of sales and marketing in 2009 after a successful career in sales, marketing and commercial strategy with Merck and Co., Inc. David led several initiatives to accelerate the sales growth of Phadia’s core product ImmunoCAP during his early tenure in the assignment. Six weeks after David joined the company, a tragic plane crash took the life of the President of Phadia US. David quickly assumed overall operational control of the company and was formally placed as President and General Manager by the board of directors in Sept of 2009. Under David’s leadership, Phadia US drove unit volume growth of the company’s core products ImmunoCAP® (specific IgE testing) and EliA® (autoimmune testing) to double digit growth for several years. This accelerated growth had been driven during an unprecedented downturn in the economy which resulted in declines of physician office visits, general laboratory testing and overall healthcare utilization by 15-20%. David’s disciplined approach to develop strategy and effective execution of strategic choices, combined with strong leadership practices that support enhanced employee engagement and teamwork have been recognized as key contributors to the accelerated growth of the company. In addition, David spearheaded the development of several commercial initiatives to support Phadia’s leadership in the area of bringing breakthrough diagnostics to the US marketplace for the allergy and autoimmune segments. The successful growth of the company culminated in the sale to Thermo Fisher Scientific for $3.5B USD in September of 2011. David supported the transition of the business to Thermo Fisher Scientific in the role of Vice President for US Commercial Operations within the Specialty Diagnostics Group. Before joining Phadia, David played several key leadership roles for Merck & Co. Inc in the US market. David led the physician segment marketing team for Singulair®, Merck’s largest branded product at the time.He developed innovative, multi-channel marketing programs to continue to accelerate growth in a highly competitive and crowded asthma and allergy marketplace. As Merck embarked on a journey to create an “industry leading new commercial model” in 2007, David was called on to play a key role in developing and leading the customer facing arm of the new model. Through David’s skill in balancing strategy with realistic tactical execution, the initial work on the model drove increased sales, increased customer trust and value measures and increased employee engagement while reducing headcount and overall operational expenses by 35%. As a result, Merck’s new commercial model was rolled out nationally and David was moved into the pivotal role of leading the overall commercial strategy for the US Division at a time of unprecedented change in the pharmaceutical industry. David’s leadership skills and ability to develop and articulate strategy with clear tactical discipline to drive execution were enhanced and nurtured during his 4 years at West Point and his subsequent leadership assignments in the US Army Infantry. As an Airborne Ranger Infantry officer, David led a rifle platoon of 39 men with the 101st Airborne Division in Operation Desert Shield/Storm (1990-1991) through several combat operations and was recognized with a Bronze Star for combat action on February 24, 1991. David was born and raised in northern New Jersey. David, his wife Tracy, and their four active children, have enjoyed living in numerous areas of the country as a result of relocations for key assignments in the marketplace. They presently call Kalamazoo, MI “home.” Outside of work, David is very active with his family, spending time outdoors and doing charitable work. In addition, David is the inventor/developer of a series of programs entitled Character Creates Opportunity® designed to improve the character development of children, adolescents, and adults. David and Tracy are the founders and sponsors of Harvest Time Partners Foundation; a charitable organization supporting youth and young adults in pursuit of character building opportunities.